Let your imagination run free in the enchanted new adventure just waiting for you to explore in the all-new My Little Princess: Fairy Forest! Meet new forest fairies, discover all the friendly animals, visit the tree house, and collect the magic rocks see what they do. 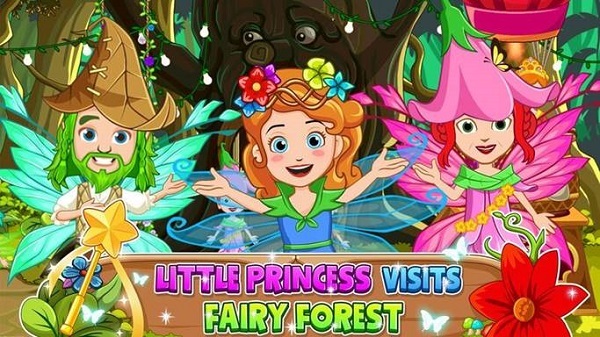 Little Princess: Fairy Forest is an imagination game where everything is possible. 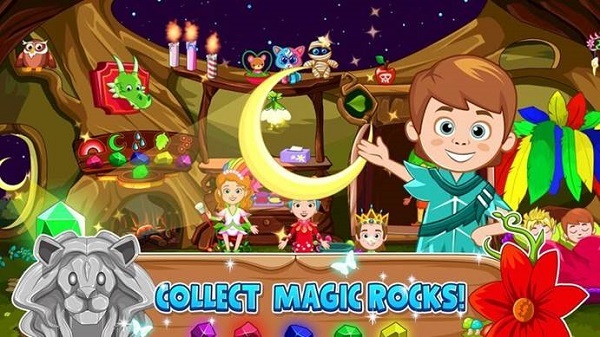 Find the mini games within the app and help the princess rescue her brother and sister with the mystical stone search. With lots of new locations and characters My Little Princess games offers a huge play value for kids and parents! Awesome new characters you can move around other little princess games. Hop into the magic hot air balloon and travel to My Little Princess: Wizard, Castle or Store – encouraging kids to build an infinite number of new adventures. No Rules, No Stress. Pure imagination fun. My Little Princess games are created by the expert team of designers, engineers, programmers and artists from the My Town Games series of apps. Best known for creating the My Town series, My Town Games is a safe, digital platform that gives children hours of open-ended play to teach them to interact first with an imaginary world, which can then empower and embolden them to explore their physical world and learn how things work. With no rules, no time limits and no restrictions on how to progress through the games – which are so user-friendly and natural that no prompts or instructions are needed – children are free to explore the worlds all on their own. The My Town Games studio designs digital dollhouse-like games that promote creativity and imaginative interactive play for young children all over the world. Since launching they have built games that have been downloaded 15 million times in 200+ countries. Loved by children and parents alike, the games introduce environments and experiences for hours of open-ended game play. The company has offices in Israel, Spain, Romania and the Philippines. Visit http://www.my-town.com.